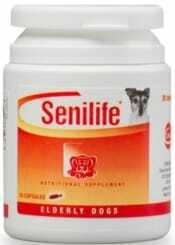 Senilife® helps your older dogs get back to life and combats behavior changes associated with the brain’s aging process. With its unique combinations of antioxidants, Senilife® can help combat behavior changes associated with the brain’s aging process. Also available in XL.